Maybe it’s just me, but just because I’ve set an alarm (or 7) for the morning, doesn’t guarantee I’ll be waking up and making it to class. I’m one of those people who has become so accustomed to turning off my alarm while I’m half asleep and not even noticing. It’s gotten to the point where it’s so bad, my roommate has to wake me up for most of my classes to ensure I’ll actually get up and go to them. She probably got so tired of this responsibility that she decided to introduce me to this app, but nevertheless, it has become a lifesaver. I love talking about times where technology is useful, and this is definitely one of them. 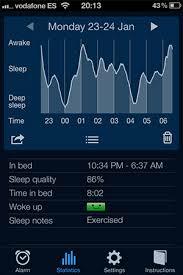 The app is called “Sleep Cycle” and this is how it works: say you want to wake up at 9am. 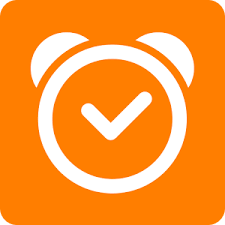 You would set your sleep cycle app to wake you up any time within that thirty minute window, so your alarm will go off at some point between 8:30 and 9. The reason for this is because your phone will sense when you are in your lightest sleep within those 30 minutes, and sound the alarm when this is detected. The app has a built in accelerometer, which tracks your movements while you are sleeping, and is therefore able to determine which phase of sleep you are in – awake, sleep, and deep sleep. It is important that the phone be positioned facedown either on a bedside table, or on a spot of your mattress where it will stay still and untouched. Another cool feature about the app is that you are able to see your sleep cycle/phases mapped out on a graph the next morning, so you are able to tell what time you fell asleep, how many times you were awake during the night, and exactly how long you were deep sleeping for. I always feel refreshed and ready to wake up when I hear my alarm and never feel the need to go back to bed. I wanted to learn a little more about how sleep cycles work, and why it was so important to wake up while you were in a light sleep. This article stresses the importance of having a full, and uninterrupted night of sleep, so that all stages of sleep can be reached and completed. When we are restless and waking up, we have less of a chance of getting to a deep sleep. Deep sleep, or stage four sleep, is when our energy is restored, tissue is grown and repaired, growth hormones are released, etc. Disrupting this cycle of sleep can leave us feeling drowsy, startled, sick, and in my case, late for class! This entry was posted in Uncategorized on October 20, 2016 by sbm5465. Are My Vegan Friends Going To Live Longer Than Me? I have two friends who are vegan, and both do so based on their beliefs about animal cruelty. Although both of them aren’t super in-your-face about their dietary choices, they do like to tease those of us who aren’t vegans by saying that they’re going to live longer. At first I didn’t doubt this. Both of them eat very healthy, eat primarily fruits, vegetables, grains and legumes, all which are beneficial to your health. But then I put a little more thought into it. Vegans don’t eat any products that come from an animal, whether it be meat, cheese, milk, or even eggs. Without meat, they lack protein. Without dairy products, they lack calcium. Wouldn’t one think that living without these is detrimental to our health? Naturally, I took to the internet to find out. It’s false to think that just because vegans don’t eat meat or dairy means that they aren’t getting the necessary nutrients, protein, and calcium. More often than not, they can acquire protein from alternate foods. 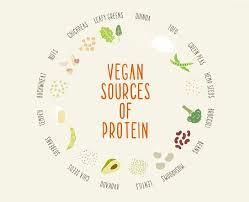 Quinoa, Soy, Rice, and Beans are all high in protein count. Broccoli, Collard Greens, Kale, and Turnips are all very rich in calcium. Additionally, most vegans are advised by their doctor to take calcium and iron supplements daily. Although vegans can eat foods high in the vitamins and minerals they are missing out on by not eating meat and dairy, it’s not quite the same as if they were eating red meat and drinking milk. Regardless, the effects of not eating dairy and meat are not as detrimental to their health as long as they are getting protein and calcium in alternative ways. As for whether or not they will live longer lives, things are looking up for the vegans. A study that started in 1958 but is not yet completed is beginning to indicate that people who eat plant based diets (in this particular study, they followed a group of Seventh Day Adventists), generally live approximately 6.1 years longer than those who do not abide by a strictly plant based diet. The reason behind this is pretty simple: vegan food is healthier than what non-vegans eat. Red meat is a large contribution to diabetes and heart disease. Dairy is good in moderation, but also is pretty high in fat content and cholesterol. Also, generally speaking, vegans eat less processed food and therefore are eating much cleaner than those who aren’t vegan. It makes sense that vegans would live longer, and although we technically don’t have enough research to prove it scientifically yet, I am willing to believe that my vegan friends probably have a better chance at a longer life than I do. With that being said, being a vegan requires a lot of work and effort. 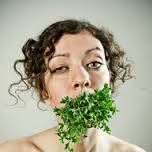 The study is underway looks at vegans who eat primarily a plant based diet. Vegans who chose to eat a package of Oreos and a bowl of pasta a day, and don’t take vitamin supplements, certainly aren’t guaranteed a longer life. We’ve all been there: we’re holding a delectable piece of food, about to put it into our mouth, when something startles us, or perhaps we’re just clumsy, and it drops. If I’m like most people, I usually pick it up and give it a glance over. If all looks good, I dust it off a little and pop it right back into my mouth without much hesitation. Everything’s good, because I’m following the 5 second rule, you know? I try not to think too hard about the 5 second rule, because if I do, it doesn’t really make much sense. I would think that the second it touches the dirty floor, thousands of germs, dirt particles, etc. become attached within a matter of milliseconds. Turns out my suspicions were correct. The five second rule is nothing more but an old wife’s tale, that has been debunked by numerous scientists and experimental studies. One study in particular, done by professor Schaffner of Rutger’s University, looked to prove the findings of England’s Aston University’s School of Life and Health Sciences wrong after they essentially claimed that eating dropped food isn’t dangerous. Schaffner and his team of researchers tested different foods on different surfaces, and concluded that all food particles were infected with bacteria straight away. They did find however, that the longer the food was left on the floor/contaminated surface, the more bacteria it picked up. 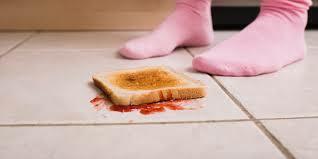 This brings a little sense to the five second rule, but considering that regardless of how long it’s been on the floor, the food still becomes contaminated, it is unhealthy to eat dropped food regardless. The amount of moisture a particular food has is actually more important than the number of seconds we let that food sit on the floor. For instance, if one were to drop a food that is wet to the touch, such as a peeled apple or a cucumber slice, it would collect more bacteria than a dry piece of food, such as a pretzel. Although the five second rule has been put to bed by many different scientists, researchers, and experiments, it is still prevalent in society today. Why? For one, since bacteria isn’t something that we can visibly see, people find it easier to ignore. Additionally, we like to eat food! If we intended to eat it in the first place, chances are there’d have to be a visible difference to the food, such as a hair in it or dirt that we can see, that would stop us from putting it right back into our mouths. Perhaps the most important reason we continue to abide by the five second rules is because nine times out of ten, nothing bad happens to us if we choose to eat that piece of food we dropped on the floor. Our immune systems are more likely than not able to combat the little amount of bacteria we ingest by eating something off of the floor, especially if it was dropped on a surface that is regularly sanitized (example: our kitchen floor as opposed to a city sidewalk). I have to admit, reading about the fallacy of the five second rule confirmed what I thought to be true, but still probably won’t stop me from eating what I’ve dropped on the floor. I’ll take my chances. Runner’s High: Achievable For All? I would definitely consider myself the black sheep in my family when it comes to athletic capability. My father played college hockey, my mom ran college track, and both of my brothers are three sport athletes. My youngest brother has followed in my mother’s footsteps and found a love for running, particularly long distances. For his cross country practices, he runs an average of 5-7 miles daily and loves every second of it. I’ve never understood this theory of a runner’s high. Every time I run, I feel the constant desire to stop, along with immense amounts of pain and discomfort. I knew the essential basis of what a “runner’s high” really was, which was basically that endorphins are released during exercise, and this allegedly keeps you upbeat and seemingly pain free despite your high level of physical activity. I also knew that it was achievable. My brother spoke of it, I knew people who swore by its existence, but all of these people were skilled runners. I wanted to know if a runner’s high was a thing for those who don’t run regularly. Here’s a more in depth breakdown of how a runner’s high works. Physical activity and stress, such as running, can trigger the release of Endorphins, which are a special chemical located in the brain. Something interesting about endorphins and their association with the Runner’s High is that the origin of endorphins wasn’t actually discovered until 2008, when a German scientists did an experiment on the brains of runners. When he scanned their brains after physical activity, endorphins were found by the plenty. Essentially, Endorphins act as pain relievers by blocking the message of pain from reaching your brain. 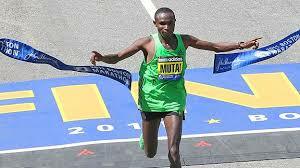 Also contributing to this runner’s high is another chemical in the brain, called endocannabinoids. Endocannabinoids are more responsible for this unknown feeling of content and relaxation, while endorphins block the pain. Together, they create what we know to be the “runner’s high”. But, if you’re looking for a runner’s high and only running 1-3 miles, or keeping the pace at that of a slow jog, you may have a hard time finding it.Endorphins are more likely to be released when you are running at ¾, or 75%, of your maximum heart rate. This is why we hear skilled runners and athletes speak of the runner’s high as opposed to the average joe that goes for a jog around his neighborhood for twenty minutes. Most people who are just beginning to engage in a workout regime are unlikely to reach this high level of physical activity. It takes someone who is an experienced runner, or at least in pretty decent shape, to be able to push themselves to that level. There’s a few other things that contribute to a more enjoyable run. For instance, although you are supposed to push yourself and your body, pushing yourself too hard will make you feel worse and create potential injury or sickness – something that endorphins alone can’t fix. Additionally, your body is likely to feel better during a run if you are well hydrated and nourished. Listening to your favorite type of music and running with a partner or a group of friends also releases more endorphins. So there you have it. Runner’s highs aren’t something that you should expect to come to you any time you run. It actually requires effort. You know what they say, with risk comes reward. So next time I go for a run, looks like I need to push myself a little further and train a little longer if I’m looking to reach a runner’s high. 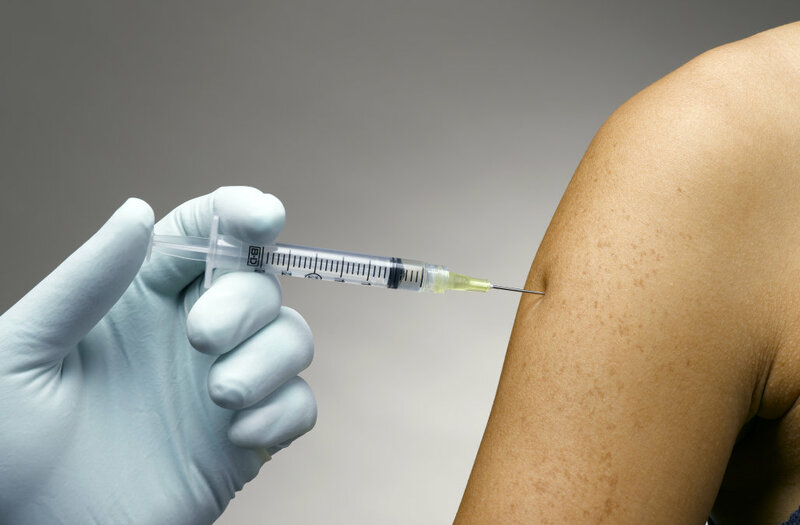 Flu Shots – Worth It? I noticed a strange occurrence around this time 2 years ago when I suddenly developed flu like symptoms a couple days after getting my flu shot. I thought of it as a strange coincidence, that was, up until the exact same thing happened the following year; I got the flu shot, waited a couple of days, and was then sick as a dog. I loved telling people the story, and in doing so, I got a lot of people who responded that they too had seemingly contracted the flu after getting the shot. What was up with that? I thought the whole point of a vaccine was to inject your body with dead germs, so that your immune system makes antibodies to destroy these germs, essentially to train our immune system. So why did it seem like they had infected me, and other people with live germs? An article from the Centers for Disease Control and Prevention, lists the statistic that the influenza vaccine lowers the risk of contracting the flu by 50 to 60 percent. Personally, that didn’t seem like a very high number to me. If I had been told before getting a flu shot that getting this shot would only reduce my risk by half, I might’ve not even gotten the shot. The article goes on to list the benefits of getting the flu shot. 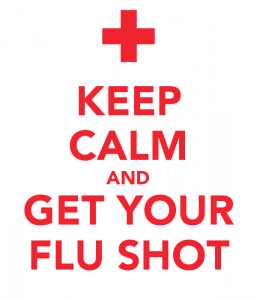 It specifically states that the flu shot is much more effective for younger children, whose immune systems are stronger, and less effective for the elderly, whose immune systems are not as healthy. In a different article from WebMD, they remind us that perhaps it wasn’t the flu you contracted after the flu shot, but instead a different cold or virus. That very well could have been the case for me, as I really just self-diagnosed myself with the flu, jumping to conclusions that it was beyond the common cold. Yet it STILL seemed peculiar to me that two years in a row I just so happened to get it after getting the shot. It’s interesting to note that most vaccines come with a list, sometimes a quite extensive list, of side effects. Everything from the HPV vaccine, to the Flu vaccine, to the chicken pox vaccine can cause fever, headache, or nausea. It is also interesting to note that under problems for the chicken pox vaccine lists a possible rash for up to a month for 1 out of every 25 people. Weird, it seems as though the chicken pox vaccine does the same thing that the influenza vaccine does, which is give people symptoms/side effects that are similar to what they are getting the shot to protect against in the first place. I think I had found my answer. Essentially, vaccination results and effectiveness vary from person to person, immune system to immune system. Despite the list of side effects, and common occurrence of side effects, doctors and websites still praise the flu vaccine and its importance. For one, it is the most effective way to defend against disease and sickness. 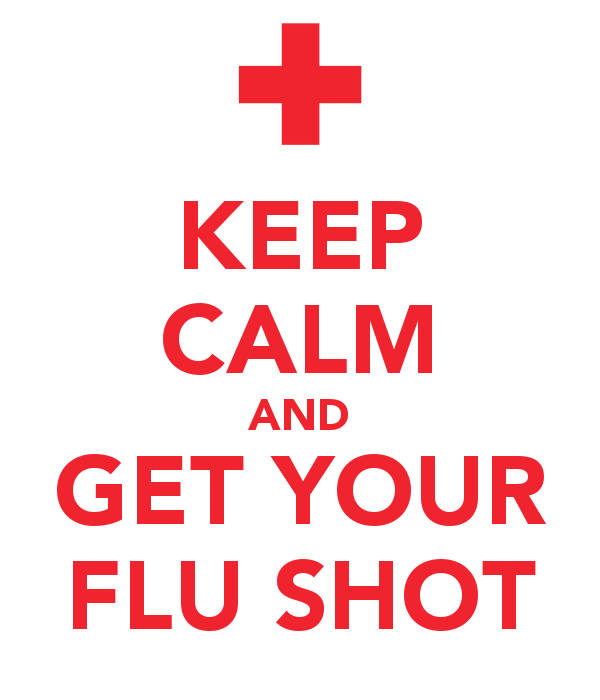 If you do happen to get the flu even though you got vaccinated, it will most likely be a milder case. Seems to me like this year I will still be getting the flu shot despite my unlucky history with the vaccine. It’s the best prevention against the flu we have, even if it’s side effects seem to make me sick. If there’s one thing I’ve learned from this, it’s to read and be aware of the list of vaccination symptoms your vaccine has. I love a good apple. Since coming to college, and now being in charge of my own diet, an apple is definitely a staple food for me. Most days, my lunch is an apple with peanut butter and some chocolate milk. Which made me wonder, if I made this meal a daily routine, is the old wife’s tale that “an apple a day keeps the doctor away” true? Could an apple really do that much for me? I was skeptical. I knew apples were packed with vitamins but I felt like the phrase should be something a little more like “a healthy, balanced diet everyday keeps the doctor away.” Although some sources believe that no, an apple a day isn’t nearly enough to keep the doctor away, an overwhelming amount of sources actually agreed with the statement. Among several studies done was one in which who ate an apple a day were less likely to have cancer and cardiovascular problems in the future. An important component that shouldn’t be forgotten however is the precise size of the apple. Eating a small apple a day doesn’t do as much for you as eating a larger apple a day, which seems like a pretty fair statement. 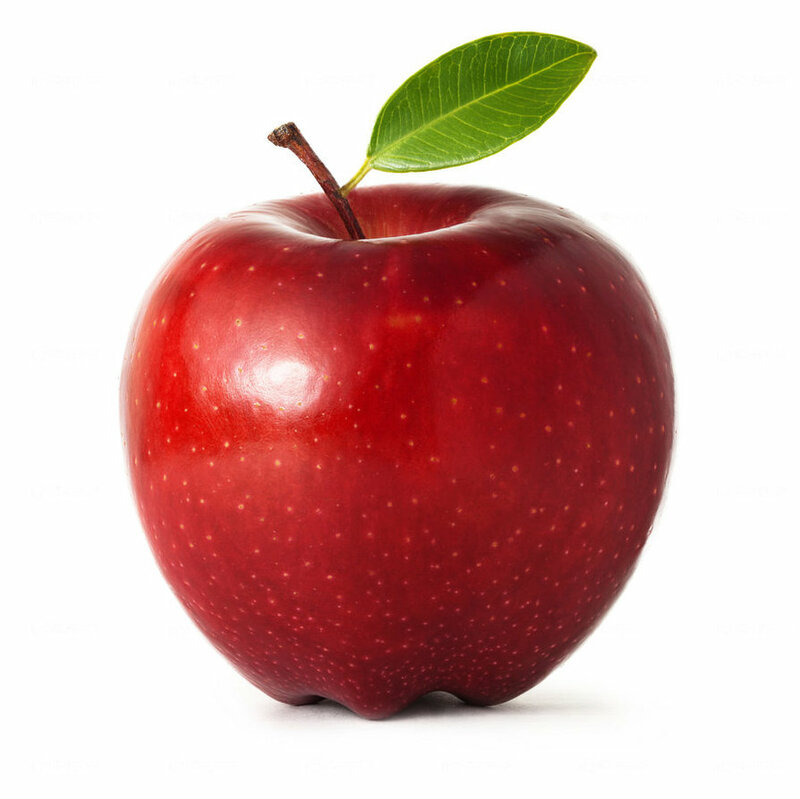 Research from the University of Michigan School or Nursing recommend eating an apple that is around the size of 7 centimeters in diameter, or at least 149 grams in order to receive the nutritional value and proper vitamin intake to truly keep you away from the doctors. But what sets an apple apart from any other fruit? Why isn’t it “a banana a day keeps the doctor away”? Well, research from the University of Western Australia concludes that an apple might just be the healthiest fruit out there. The apple, they say, is the fruit that contains the most antioxidant flavonoids, flavonoids being nutritional compounds. These flavonoids include Quercetin, Myricetin, and Epicatechin to name a few. All of which contribute to health benefits, from lowering your risk of diabetes to improving your immunity to sickness. It’s impotant to remember, however, that most of these antioxidants are found primarily in the skin or directly beneath the skin of the apple – so eat your apples with the skin on to increase the health benefits! Although I read a lot of compelling evidence on the glory of apples and their improvement of our general health, I’m not sure if I would personally agree with the fact that an apple a day will keep the doctor away. I do believe that they will make us less at risk for cancer, diabetes, and heart disease, as research seems to be aligned with. Yet, eating an apple a day will not protect me from the flu or strep throat. It will not be not be a beneficial diet if I eat an apple a day and eat sweets and ice cream for every other meal. I’m sticking to my own phrase, “a healthy, balanced diet everyday keeps the doctor away” instead. I think it is important to have variety in your diet. I think different fruits beyond the apple can offer other vitamins and antioxidants that the apple does not. I think everything in moderation might be a better route to go. Does this mean I’ll be switching my daily apples and peanut butter snack to, perhaps, bananas and peanut butter? Only time shall tell. This entry was posted in Uncategorized on September 16, 2016 by sbm5465. One of my best friends back at home is the epitome of an American looking girl – blonde hair and blue eyes. Yet, something that has always mystified me is not her looks, but her parents. Her mother has jet black hair, naturally, and brown eyes. Her father also has brown eyes and brown hair. Somehow, both her and her brother ended up blonde haired and blue eyed. Was something going on here? What were the odds that not just one of them, but both of them, ended up looking so different than their parents? Being naturally nosy and curious, I looked to the internet for the answer. I knew it had to do with dominant and recessive genes, but beyond that I felt pretty uneducated. As for the blue eyes, eyes color is dictated by a pigment called melanin. Eye color is also a polygenic trait, which means there can be multiple variations of one color, or a mixture of more than one color, such as hazel. If both my friend and her brother had blue eyes, it is likely that her parents both had a recessive gene for blue eyes. There’s also the chance that one of their grandparents had blue eyes, which skipped a generation in their parents, and has now shown up in the generation of my friend. There is even the chance that my friend’s grandparents simply had the recessive gene that was then passed down to them as a recessive gene. Turns out that the likelihood that my friend and her brother would look so different than their parents is a lot more common than I thought, and considering the fact that two parents could produce 64 trillion different combinations of offspring. Some traits don’t depend entirely on genetics, however. Weight, personality, and even height can also be manipulated by the environment. This makes sense to me, as I generally feel that my funny friends have pretty funny parents, and my heavier set friends tend to have heavy set parents. But I was confused about the height portion of this fact. I figured height was like hair color or eye color, it was something that was simply coded into your DNA and couldn’t be manipulated. This article lent me a little more information on the situation. Height is controlled by both genetics and the environment. For example, yes, you’re more likely to be tall if your father is 6’5. Where the environment comes into play is more in terms of geographic location. In countries that are poverty stricken or less developed, children are less likely to grow as much because they do not receive the proper nutrition they need to grow stronger and taller. For example, the height of an average child in the United States is likely going to be higher than a child in say, Ghana. All in all I was pretty surprised by my findings on genetics. Who knew that something as random as crooked teeth could be inherited? As it stands, my blonde haired blue eyed friend may not be such a genetic miracle after all. As one would expect, arriving at college comes with its fair share of life changes. Living with a roommate, adjusting to life without parents around, and making an entirely new group of friends are among the list of many lifestyle adaptations we face. For me, one of those major changes was sleeping with the lights entirely off. 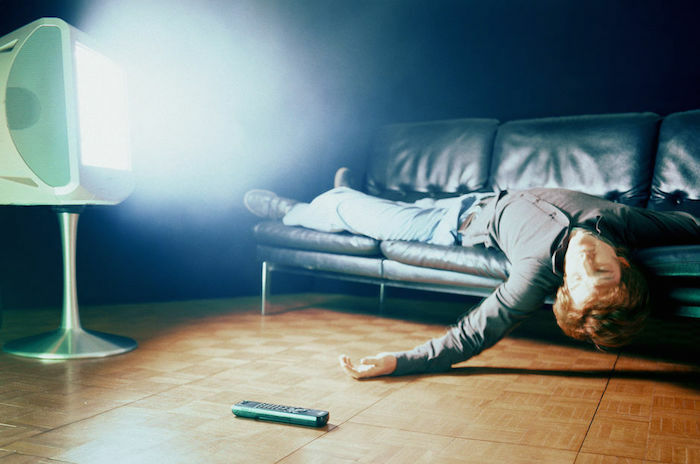 I’m usually good about turning the TV off, but I don’t usually sleep in complete darkness. Ok, a little embarrassing, I admit, but I just simply prefer to sleep with the lights dimmed. My light switch at home allowed me to dim my lights, so I would every night. I had a friend tell me once that you can never get a good, proper night’s sleep without a completely dark room, but I refused to believe her. My way was better, obviously. Yet, now that I am forced to sleep with the lights off out of courtesy, I have encountered some slight changes to my sleep schedule. Perhaps I am more tired as a college student, but I do seem to be falling asleep faster and my FitBit tells me I am lest restless in my sleep. I started to wonder- could she be right? I read this article that delves into the reason why really any source of light, even the little glow of my alarm clock or the sun that comes in through our dorm window, could be affecting my mental health. Essentially it has to do with a chemical in our brains, Melatonin. You may have heard of melatonin from our reading in class the other day, but melatonin basically relates to our mental health and controls our mood. Lack of melatonin, which can be caused from light in our rooms while we sleep, could in turn cause depression. We saw this in the mice experiment that Andrew showed us in class – the mice who slept with a glow on in the background were more susceptible to becoming depressed. In addition to messing with our melatonin levels, allowing light in the room also screws up our internal or “biological” clocks. . Our body, through the help of Suprachiasmatic Nucleus, can sense light even when we are fast asleep. This means our brain may be trying to tell our body to wake up when it senses this light, even though we should be sleeping . The article suggests taking, in my opinion, rather drastic measures to ensure complete and utter darkness in our bedrooms. Buying light cancelling curtains and putting a towel at the bottom of our door is not something that I will be doing any time soon. But I will definitely be sleeping with the lights off from now on. Even though I have not experienced any drastic change in my mood (yet), I have noticed that I’m sleeping a little better. That’s enough for me to be convinced. Hi everyone! I’m Sarah Mullahy and I’m from Massachusetts, about forty minutes outside of Boston to be exact. I’m currently a communications major here at Penn State and am hoping to pursue a degree in Journalism or Public Relations. As depicted in the above title, when people ask me why I chose my major, I love to tell them it’s pretty much because I’m “not a math and science person”. Its true. 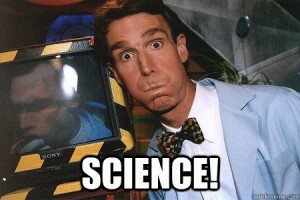 When Andrew asked us to name living scientists, I could actually only think of Bill Nye. I love english, writing, grammar, history, languages, you name it….but put me in front of a math textbook and I’ll stress the hell out. Surprisingly enough, science was actually my favorite subject up until high school. I enjoyed learning the life and earth sciences and felt intrigued by questioning the world around me. When I started taking Chem and Physics courses is when my enjoyment of the subject faded fast. Perhaps it was because it didn’t come naturally to me, or perhaps it was because I’m not a fan of advanced ethical and mathematical thinking. Even though I generally do not enjoy science, I am excited by the list of topics this class explores. Some of my favorites include “Are anions gay?” “Why is cancer immortal and you are not?” “Can you catch obesity?” and of course, “Are males toxic?” this is more the type of stuff I want to learn about, questions I want answered. Outside of life in the classroom, one thing I particularly enjoy is sports. I played basketball and volleyball throughout high school. Tying into this, one of my favorite movies as a kid was the Disney Channel Moive “Ice Princess” about a nerdy girl who turns her passion for science into physical capability and athleticism in the sport of Figure Skating. By figuring out the physics behind the jumps that figure skaters do, she herself was able to complete these jumps and time them correctly according to the laws of friction and momentum. Here is an article I found that relates to what she was configuring. This entry was posted in Uncategorized on August 30, 2016 by sbm5465.